Black Jasper is also known as "Blackstone". Black Jasper is a highly protective stone that is excellent for grounding the energies of one who may be experiencing spaciness. It can help in connecting one's higher vibrations to the earth. Black Jasper is useful in relieving pain and helps stomach ailments and foot problems. Brecciated Jasper is a form of Jasper that also contains Hematite. Red Brecciated Jasper is often called "Poppy Jasper". 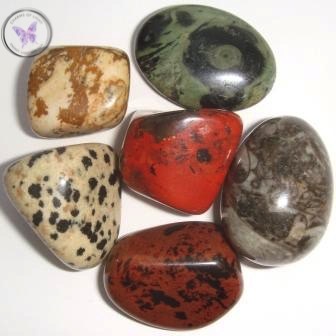 Brecciated Jasper is a particularly good grounding stone which can assist those who feel overwhelmed. It can enhance organisational abilities whilst helping in developing creativity. Brecciated Jasper encourages empathy and communication with animals and can help with allergies to animals and in general. 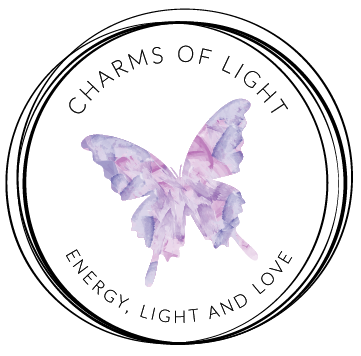 It absorbs negative energy and promotes health, healing and recovery from illness. Another extremely protective stone, Yellow Jasper also has the ability to neutralise radiation and other forms of environmental and electromagnetic pollution. It is a nurturing stone, helping to calm the nerves and emotions. Yellow Jasper aids disorders of the stomach and digestive system, helps to relieve bloating and is effective in the promotion of tissue regeneration. Zebra Jasper is a stone that brings contentment. It helps you to have compassion and understanding for others. It provides you with courage and motivation, helping you to face the challenges and to solve the problems you may have in life. It gives you the determination needed to see things through. Zebra Jasper stimulates physical energy, providing stamina and endurance, making it a wonderful stone for athletes. It can also help to alleviate muscle spasms, heart palpitations, and vitamin deficiences. Jasper is also found in Tiger Iron.